Vermiculture, also known as worm growing or worm composting, may sound like a gruesome activity to some folks but, truth be told, if you’re a prepper, you should start learning fast about its huge potential. What we’re dealing with here is the fine art of composting. I already wrote about vermiculture (repeatedly if memory serves) with a twist: the worms themselves! But this article is going to focus specifically on vermiculture for beginners. I am mentioning our previous composting articles so you can dig a bit back in the archives and see what’s up with composting, its uses, why composting is good for you and the environment, etc. So, back to our current topic. 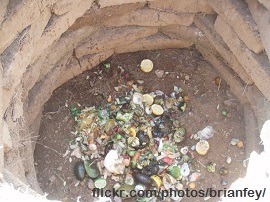 Vermiculture, or worm composting, is nearly identical to the regular, plain composting idea. The difference is that this time worms jump into the mix of bacteria and microbes that are working hard to turn your organic waste products into useful, nutrient-filled fertilizer for your crops, garden or whatever. A special type of worm is regularly used in vermiculture. It’s called the red riggler worms or E.foetida in Latin. These worms are beneficial for the garden soil for a multitude of reasons. 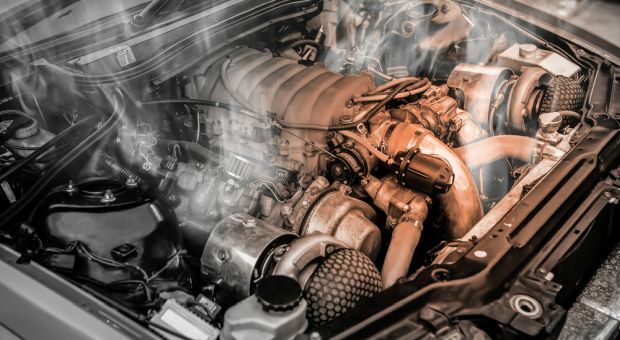 Worms are excellent soil excavators and their entire life cycle is spent grinding, digesting, ingesting and excreting soil; their droppings or castings are way richer in good bacteria and nutrients than regular soil. While they dig the earth, worms create underground burrows and channels which make the soil more porous, permitting the water to reach farther into the soil column. Also, the channels and burrows dug by these tiny worms help with water drainage after heavy rains, thus reducing soil erosion significantly. Another benefit derived from the worms’ continuous digging of channels and burrows is that the plant roots get more air in a process called aeration. Also, by their deep tunneling, worms play a role in enriching the topsoil by getting the sub-soil closer to the surface, mixing with the topsoil which is richer in nutrients and organic matters. Earthworms secrete a substance called slime that’s very rich in nitrogen. And as you may know, nitrogen is basically plant food. Also, slime is pretty sticky and helps a lot with the earth aeration process by agglomerating the soil particles, binding them together, thus creating formations called clumps or aggregates, which permit air to circulate around and between the gaps. 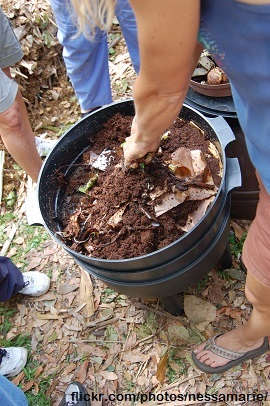 Worm composting represents a very efficient way to recycle organic wastes in an easy way. The process results in a high quality worm fertilization that hastens the composting process so that you can use it in your garden or for your houseplants sooner. In a nutshell, worm composting will help you with your household garbage that must be disposed of and it makes an excellent conditioner for any type of plant culture. What you’ll need to get started in vermiculture is basically a plastic container filled with red worms and a special moisturized bedding in which they thrive and prosper. The bedding can also be created using leaves and shredded newspaper. Obviously, you must add the worms into the mix of food and organic waste (your compost bin) and see the worms go berserk, eating and reproducing like there’s no tomorrow. A plastic, metal or wooden container; you can use a dedicated worm bin (ask around in hardware stores) or you can repurpose a container that you already have. Anything will do as long as it comes with a tight lid. 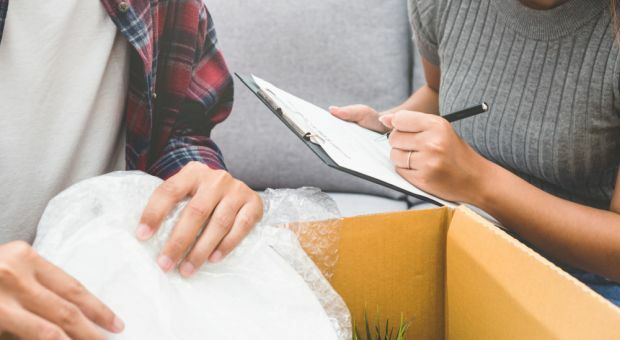 Ideally, you should get a recipient that offers one square foot per pound of waste per week. Keep in mind that the container must have a bottom catch tray, drainage holes and air vents on the sides and top. Worms thrive in moisture and dark environments, so you should cover the container in order to trap moisture inside and keep the light out. The worm container/bin can be located anywhere: outdoors (put a solid lid over it to keep out rain and scavengers), in your garage, basement, under the kitchen counter or on your balcony. Keep the bin protected from extreme temperatures, i.e. freezing, heavy rain, hot sun etc. Our little friends live long and prosper at temperatures between 40 degrees F and 80 degrees F, the perfect balance being achieved at 70 degrees F. Keep in mind that worms enjoy the silence, so if you’re growing indoors don’t blast the stereo. Bedding is ideally built using moist cardboard, shredded wet newspaper (ink is not a problem) and leaves, in order to retain moisture and air whilst providing our little fellows with a cozy and warm home. You can add into the mix seaweed, dried grass clippings, dead plants, peat moss or commercially available worm bedding (ask about that in sporting goods stores). An optimal level of moisture is essential for your worm population: give them too little and they’ll escape or die, give them too much and they’ll get very lazy. To achieve that, you should moisten the bedding until it’s the consistency of a well wrung sponge. The worm container should be 2/3 filled with the optimally prepared bedding. After that, you must fluff/lift the bedding in order to aerate it properly. In this way you’ll create air pockets inside the bin for aerobic activity, to allow the worms to travel around inside the container and for odor control. When needed, you must moisten the bedding again by using a hose nozzle or a spray bottle or whatever. You can add 2-3 handfuls of earth or sand amongst the bedding for providing the worms with true grit. I mean, grit for the sake of the worm’s digestion. It’s a no brainer that you can’t practice vermiculture without the worms themselves, hence you’ll need red wigglers, red worms, manure worms, brandling etc. These species thrive on food waste and similar organic stuff and they’re easy to find in compost heaps, aged manure or even piles of leaves. Bait stores also have them or you can consult dedicated catalogs (lawn and garden ones). You should know as an interesting factoid that you’ll require between 500 and 2000 red wigglers to start kicking it full throttle! Some experts recommend 1000 wigglers (2 pounds) for one pound of waste per day. Others claim a one-to-one ratio. Don’t worry if you start with less than 1000 soldiers; they will thrive and multiply if you provide them with the proper environment, as their population doubles every three months or so. The last thing that you’ll need is worm food such as kitchen scraps. Worms are suckers for kitchen scraps – they totally love it in addition to the leaves, cardboard, newspaper and the whole shebang I already told you about. Don’t feed them properly and they’ll become depressed, sad or even suicidal, they’ll form syndicates and go on strikes and you don’t want that in your vermiculture now, do you? Seriously speaking, quality food scraps are the secret ingredient for a rich and prosperous worm population. Remember that worms are vegans/vegetarians, so never feed them meaty or fatty organic food waste. The little fellows thrive on fruit peels, grains, breads, veggie scraps, coffee grounds/filters, tea bags and crushed egg shells. Forbidden scraps worms totally hate are oily/greasy foods, fish, meat, butter, cheese and animal wastes. The food scraps can be spread on top of the moist bedding in a very thin layer or you can bury them inside the bedding (the preferred method). Try not to over-feed your worm population, else foul odors may occur. To prevent nasty smells, you should chop the food into small pieces (making the job easier for your buddies) or cut back the quantities. Keep an eye on the pH level of the bedding; if it’s too acidic worms will try to “evacuate the premises”. Try to avoid acidic foods like orange peels and stuff like that. Fruit flies also can be a problem, but it’s easy to mitigate that by burying the food inside the bedding and not over-feeding your population. A successful harvest, i.e. worm castings, require 12 to 16 weeks; after that time has passed, your worm population will have eaten and digested all the bedding and the garbage inside of the container or bin, which will be then filled with black, natural, organic soil fertilizer. To harvest the compost, you must separate the worms from the compost and send them to another “job”. So, all you have to do is fill up one side of the container with a fresh new bedding (filled with worm food) while moving the finished compost to the other side of the bin. 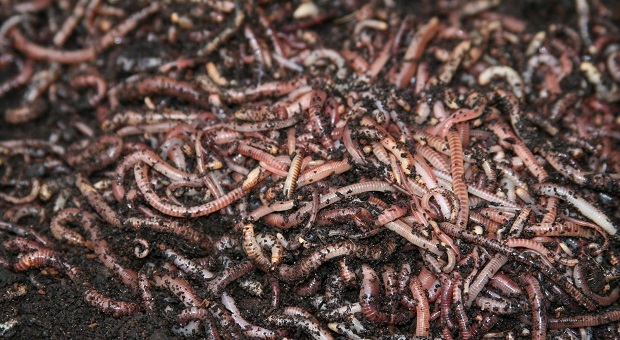 The worms will migrate to the other side for a better life and you can remove the remaining “worm free” compost for use in your garden or for your plants. If you’re in a hurry, you can always pick through and pick them gently out if your bin is small enough. For additional questions or comments, just comment in the section below; I’d be happy to hear from you.